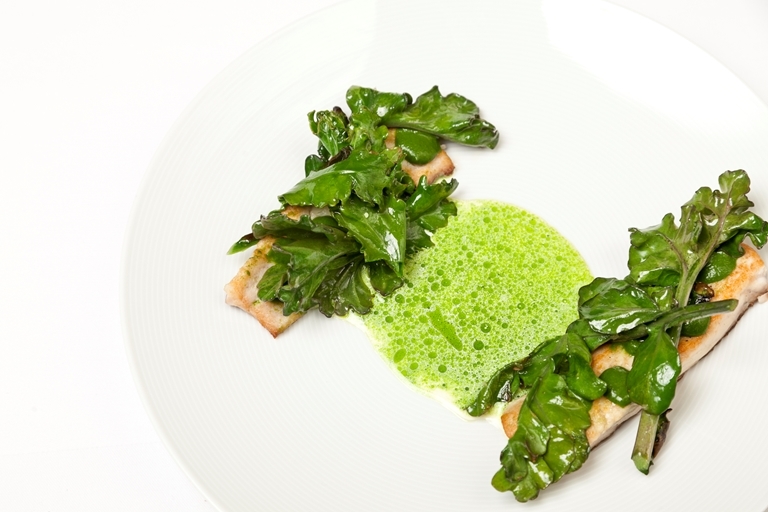 The mineral flavour of the much underrated grey mullet is offset by an earthy nettle emulsion and split parsley sauce in this pan-fried grey mullet recipe from Christoffer Hruskova. Sea kale grows naturally on some British coastlines but is quite scarce. Seek it out at a farmers' market or well-stocked delicatessen.